A new study by Magna and IPG Mediabrands predicts a thriving DOOH ad environment over the coming years. The share of global advertising spend going to out-of-home advertising remains stable at 6%, according to a new report, and it is the only offline media category to show consistent growth. This is largely down to major investment in digital OOH (or DOOH), which is growing in every environment and has seen unit numbers jump 70,000 to 300,000 worldwide in two years, and revenue increase by 30%. These are the headline findings in Why Out Of Home Performs, a joint study by Magna Intelligence and Rapport, IPG Mediabrand’s out-of-home agency, into OOH’s continued growth and impact. The report was based on findings from a survey carried out in 22 key markets around the world. The OOH market was worth $28bn (£21.4bn) in net advertising revenues in 2016, according to Magna’s report, and is predicted to grow by 4% per year to reach $33bn by 2021. This puts its current share of the overall traditional media market at 10%, up from 8%. Behind this growth is an ever-more concentrated supply-side market, in which the top international OOH media owners are continuing to expand their influence: the six main global vendors (in order of 2016 revenue size, JCDecaux, Clear Channel, Outfront, Lamar, Stroer and Exterior) now control almost 40% of the whole market (see graph, below). By 2021, the report predicts small but significant changes in the environments most used for OOH. Use of billboards, currently the top revenue-generating segment and performing particularly well in India, Russia and the US, will drop four percentage points to 41% in the next five years. Street furniture and transit, meanwhile, are due to grow respectively from 31% to 34% and 14% to 15% as local authorities become more willing to partner with OOH vendors. A series of major contracts—typically over ten years long—in big cities are also in the process of renewal, the first time this has happened in the era of DOOH and programmatic opportunities, which partly explains DOOH’s recent giant revenue leap. 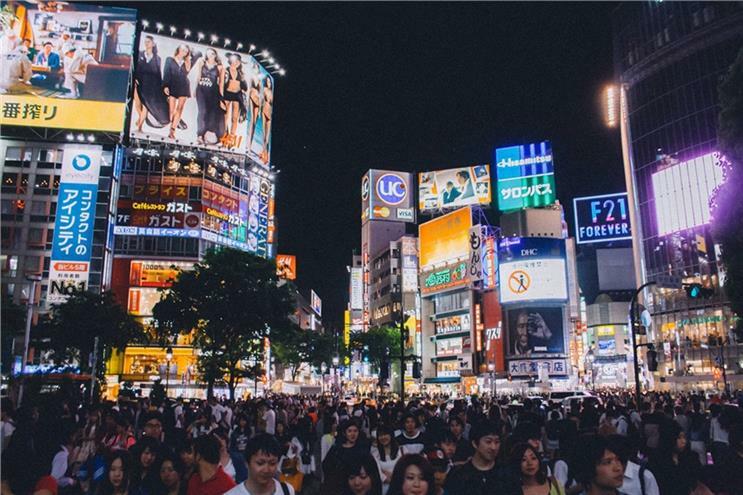 While the US is the largest OOH market, valued at $7.1bn last year, APAC countries Japan ($4.7bn) and China ($3.1bn) come in at second and third position. Per capita spending on OOH amounts to a record $38 per year in Japan, compared to $22 in the US. Singapore spends the second highest amount per capita at $36 a year. The simplest reasons for OOH’s consistent performance, according to the report, are that "everyone is outside" and OOH ads can’t be skipped or blocked. Ever-improving audience measurement metrics, such as eye-tracking and location data tools, are also helping raise OOH’s popularity. DOOH, however, is undeniably a major factor. While this medium currently still represents just 5% of OOH inventory, the opportunities it offers—such as advertising in premium spaces like malls and airports and access to niche environments like bars and taxis—mean it is already bringing in 14% of the sector’s total revenue, a figure set to grow to 24% by 2021. Digital currently thrives in indoor markets, the report explains, such as malls and place-based spaces (gyms, offices, lifts etc); but revenue from DOOH ads used on street furniture, currently worth 8% of the total, is predicted to grow as this segment opens up. DOOH is also starting to be used more creatively, to complement social campaigns, for example. "There are two main avenues DOOH is being used to complement social campaigns, either through integration or through content creation," says Neil Morris, founder and chief executive of creative production house Grand Visual, in a quote included in the report. "During the FIFA World Cup last year, Continental Tyres integrated their social media activity with their DOOH campaign—broadcasting their #ContiQuiz live Twitter stream, featuring fans' predictions and messages to 2,000 screens across the UK. The other way social is complementing DOOH is where experiences in the physical world such as AR stunts (PepsiMax Bus Shelter) or interactive events (Disney Shadows) are being used to create content to be seeded across social channels." Besides this, of course, DOOH is optimised to target customers much more precisely through programmatic ad placement, an increasingly hot topic. The future of programmatic in this space, Magna says, will revolve around improvements in measurement, such as live location-based data; better attribution, i.e. better physical behaviour verification; and linking OOH to other channels, from mobiles to audio and TV. While there are plenty of drivers to DOOH, however, such as falling screen costs and improving reliability, the main barrier to increasing digital OOH spend is "the investment required to convert sites" says Luke Stillman, vice-president, Digital Intelligence, Magna. "In markets where there are few very dominant players, there are fewer resources to make those conversions." The hesitancy some brands feel at sharing DOOH loops with other brands also remains an issue.